Essays by Raymond Surburg on the history of justification, prayer, doctrine, and Christian life, the misuse of the Law/Gospel dichotomy in 20th Century Protestantism, removal of Satan from the Old Testament, Doctrine of Angels, Descent into Hell, ELCA and the Jesus Seminar. An evaluation of millennialism and dispensational of proponents of the Gulf War to interpret the end times millennialism and Israel today and much more. 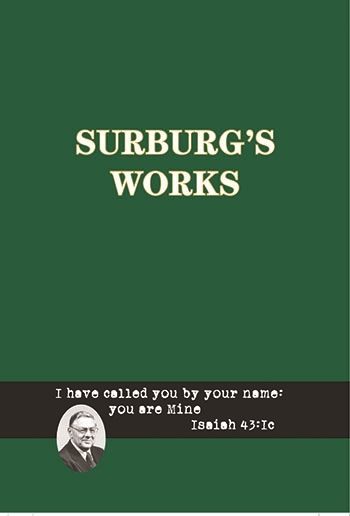 Articles by Phil Giessler and Walter Maier III on Surburg. 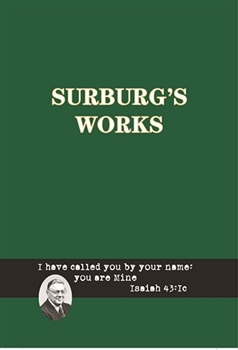 Volume V includes the Index for all five volumes of Surburg�s Works.